On November 6th, millions of Americans will cast their votes in districts that have been declared unconstitutional by a federal court. A panel of three judges ruled that North Carolina’s congressional districts had been unfairly gerrymandered to favor Republicans over Democrats—and the key evidence in the case? Math. Annie Minoff and Elah Feder tell the story of that case—now waiting to be considered by the Supreme Court—in the next episode of Undiscovered. They join Ira here with the latest. IRA FLATOW: Next up, the midterm elections are less than two weeks away, and on November 6, millions of Americans will be casting their votes in districts that have been declared unconstitutional by a federal court, districts the courts say have been unfairly gerrymandered to favor one political party over another. And some of these gerrymandering districts are at the center of a court case that’s sitting in the queue at the Supreme Court. And some of the key evidence against the districts– what is that key evidence? It’s math. How do you like that? That’s the topic of the next episode of our Undiscovered Podcast, and our co-hosts Annie Minoff and Elah Feder are here to talk about it. Welcome back. ELAH FEDER: Thanks so much for having us. IRA FLATOW: Give me a quick refresher on gerrymandering. ELAH FEDER: OK, I’ll give you a really quick refresher. The short answer is gerrymandering is when politicians basically mess with district maps and change the shapes of those districts to help their own party win more seats. So you’ve probably seen the snaky districts, the famous salamander district. ANNIE MINOFF: How gerrymandering got its name. ELAH FEDER: Yep, the one that Annie likes to call the leaping Pomeranian. IRA FLATOW: Where was that? ANNIE MINOFF: That’s in North Carolina. I think I’m the only one who sees that. ELAH FEDER: You’re the only one who sees it, yeah. IRA FLATOW: Yeah. But it’s not illegal, right? ELAH FEDER: Well, that’s kind of the big question. The courts have been very clear that some kinds of gerrymandering are unconstitutional. So if you’re gerrymandering in a way that’s going to disadvantage people of a particular race, that’s unconstitutional, and we would hope that a court would strike down that map pretty quickly. But where it gets complicated is with political gerrymandering, which is where you’re drawing the map to discriminate against Republicans or Democrats. And there, the courts have been really reticent to get involved. So the Supreme Court hasn’t given a clear answer to politicians about whether this is OK or not, and in the absence of that clarity, politicians are kind of having a field day. So I wanted to play you a clip, Ira, that really took my breath away the first time that I heard it, and this is a state legislator from North Carolina– David Lewis. He’s a Republican state rep talking about how Republican legislators in North Carolina were going to redraw the state’s congressional map. – I propose that we draw the maps to give a partisan advantage to 10 Republicans and 3 Democrats, because I do not believe it’s possible to draw a map with 11 Republicans and 2 Democrats. ELAH FEDER: Well, he actually said this on camera. It wasn’t entirely subtle. IRA FLATOW: He would take them all, if he could. ELAH FEDER: Yes. Yes. If I could gerrymander any better, I would have. IRA FLATOW: This is “Science Friday” from WNYC Studios talking about gerrymandering. ELAH FEDER: So those comments by Representative Lewis actually prompted a lawsuit by some North Carolina voters and good government groups to try to get this gerrymandered congressional map taken down by the court. IRA FLATOW: So tell me about this case. How does the math fit in in this case? ANNIE MINOFF: OK, so traditionally in partisan gerrymandering cases, one of the things that they’ve had missing is this question of, how do you prove a gerrymander? How do you actually quantify how much a particular map is hurting Republicans or Democrats? And that’s where math can really help. Math is pretty good at quantifying things. 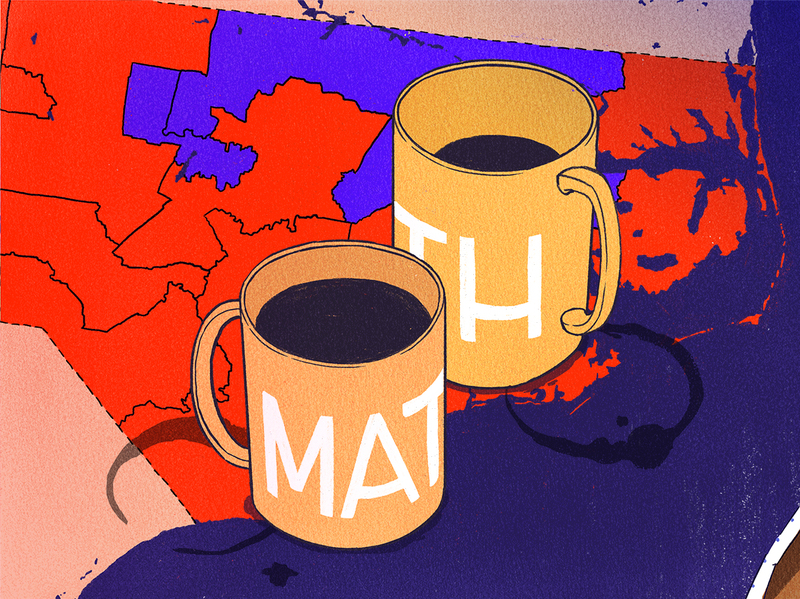 So in this North Carolina case, one of the experts is a Duke math professor named Jonathan Mattingly, and he came up with a way to actually quantify how skewed a map is. IRA FLATOW: And so if he’s a math professor, he made a calculation that’s probably straightforward, right? ANNIE MINOFF: Straightforward might be pushing it, but the theory behind the calculation is quite straightforward, because the case he’s making is if you’re going to call a particular map gerrymandered and say this map is skewing election results, then it would help to know what a normal election result would have been for that year. If you’re going to say something is unusual and gerrymandered, you’d better know what usual looks like. And so the way he figures that out is he takes the actual votes that people cast in an election– so all the votes that North Carolinians cast in the Congressional race in 2012– and then he calculates how many seats Democrats and Republicans would have won if the district maps had been just a little bit different. And he does this thousands of times with thousands of nonpartisan alternative redistricting schemes and then sees, well, how different is my quote unquote “average” result from what we actually saw? And what he found, for example, in that 2012 Congressional race is North Carolina elected four Democrats to Congress in 2012, but Jonathan saw actually a more typical result would have been six or seven Democrats. So now he can look at that map and say, you know what? That map that elected four Democrats? It’s unusual. It’s atypical, and I’m able to quantify that. ELAH FEDER: So that’s what he set out to do, is really key finding, but it was actually something else that really surprised Jonathan when he did all of this. I’ll let him explain it. – I saw in my analysis that by never changing a single vote, by only redrawing the districts, I could change the number of Democrats elected from 4 to 9 out of 13. And we would consider each of those– we would call that a wave election, either of those, right? And extremes– but with the same vote, you can create a wave election for the Republicans and a wave election for the Democrats. ANNIE MINOFF: So that’s kind of amazing. Jonathan is looking at an election where the votes are unchanged– one set of votes– but depending on how he moves those district lines around, he can create an election that’s a landslide for the Republicans or a landslide for the Democrats. That is how powerful gerrymandering is. IRA FLATOW: So this mathematician is going to court with this stuff. ELAH FEDER: That is correct. So last October, this mathematician, Jonathan Mattingly, was an expert witness in a court case. He actually took the stand on behalf of those North Carolina voters who were suing the state over this map, and his goal was to try to convince the federal judges that, hey, this map is gerrymandered. IRA FLATOW: And how did that go for him? ANNIE MINOFF: Well, we’re hoping that you’ll listen to the episode. ELAH FEDER: This is a shameless cliffhanger. ANNIE MINOFF: You can check the news. Anyway, it’s a great story, and an important one right now. You can hear it next Tuesday. If you subscribe, you can get it straight to your device when it shows up on Tuesday morning. And just go anywhere where you get your podcasts. 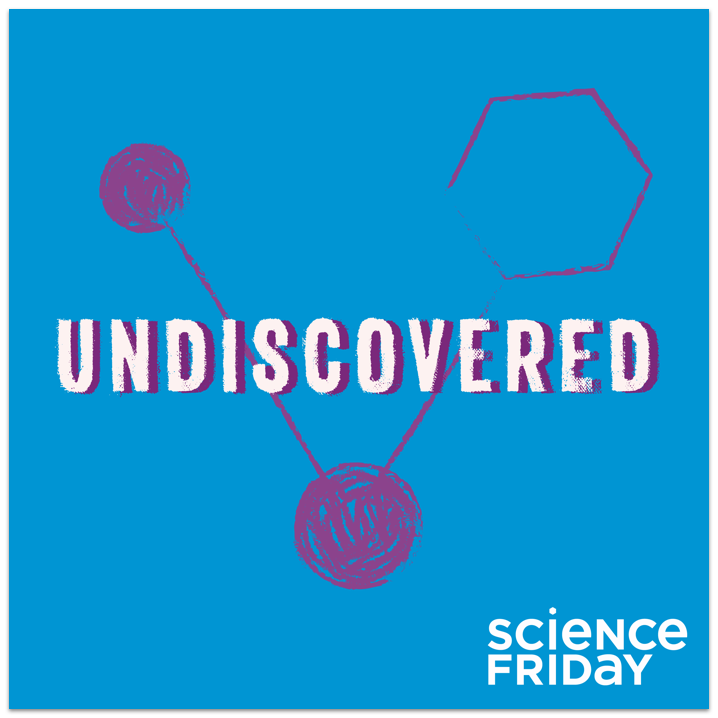 Search for “Undiscovered” or visit our website– undiscoveredpodcast.org. ANNIE MINOFF: Yeah, what a coincidence. IRA FLATOW: Yeah, I’m sure. You guys work very hard. Elah Feder and Annie Minoff are the co-hosts and producers of our “Undiscovered” podcasts. Subscribe wherever you get your podcasts, or as they say, check them out an undiscoveredpodcast.org. Thank you, guys. ELAH FEDER: Hey, thank you.